Fans of the Howard Stern Show are as loyal, rabid and diverse a group as you could imagine. Stern has a cult-like following that spans all ages, races, genders, income levels and cultural barriers. I should know – I have been an avid Stern Show listener for the past 2 decades. Stern's appeal is that he is both both brutally honest and fully transparent. He is not afraid to ask the difficult questions of any of his guests, whether they are A-list celebrities or part of his “Wack Pack”. The latter are a rag-tag collection of guests that represent the elements of our society that otherwise get swept under the carpet. You would be hard pressed to find the likes of "Crackhead Bob", "Blue Iris", Daniel Carver, “Debbie the Pet Lady”, “High Pitch Eric”, “Jeff the Drunk” or “Beetlejuice” on other talk shows, however in Stern-land, listeners have the opportunity to get to know people with whom they would never ordinarily associate. These are real people dealing with real life issues. Stern has a way of engaging the members of his "Wack Pack" in a way that is funny, humanizing and endearing. A number of these people were Stern's personal guests on his "America's Got Talent" show, and seeing the crowd embracing Stern's crew made me wonder…who are my 10 favorite Wack Pack members? I have been keeping mental notes for a few weeks now, and in true Evil Dave Letterman like fashion, I will count them down from number 10 to 1. Blue Iris passed away (in 2009) at the age of 62. She used her twilight years to launch a career in the adult film industry, and is named for her ever-present blue wig. She was a regular caller from the early 2000's until the time of her passing. She was always a good sport on the air - when Artie lost a bet to Chris Kanyon over the Yankees and had to kiss Blue for a full 10 seconds. RIP Blue Iris. Bobo spends his mornings listening to the Stern show while parked in his car from the bank of the Hudson River. He maintains the largest known collection of Stern memorabilia, and even shaved his eyebrows in return for obscure show merchandise. He is a retired postal worker who has a tough time deciding who means more to him - his family or the Stern crew. The irony is that his name - Bobo Bowie - is very close to the nickname of Gary del'Abate - Baba Booey. Andrea Ownbey became the official "Miss Howard Stern" after the Show's beauty pagent in 2002. Although she was just 18-years old at the time, she had a 2-year old daughter (named Beyonce). Her voice and intellect is similar to that of a pre-teen. Over the next several years, she would crash her car 9 times, the worst of which was a near fatal accident in 2009. She has now recovered but has not returned as a show regular in some time. Bigfoot is a relative newcomer to the Wack Pack, having been identified in a 2006 contest (in honor of the move to Sirius Satellite Radio) to find the 'next' Wack Pack member. Hailing from Newport, Vermont, Bigfoot (named for his size 14 feet) seems to always be in trouble with the local authorities, whether it is the Health Authority trying to get on top of his scabies outbreak or the police for allegedly having borrowed one of their cruisers. He is easy to distinguish on the radio by his deep voice and ending every sentence with the words "it is". Crazy Alice has the shortest temper that I have ever heard. She is at her best when matching wits (and by that, I mean screaming at) Stern's former sidekick Artie Lange. She has since ended her feud with Lange (after he treated her to a Yankee playoff game), and now only makes sporadic appearances. Alice lives in Los Angeles and has been evicted from her apartment for yelling so loudly on the phone. There are 2 memorable clips from Alice - her voice dubbed over Daniel Powter's song "Bad Day", and a voice clip of her answering the phone by saying "who dis?" Alice won the Stern Staff's Fantasy Football pool in 2006. Marianne from Brooklyn is the self proclaimed "Mother of the Wack Pack". She is a housewife from Brooklyn and probably the BIGGEST Stern fan on the planet. Whenever Howard makes a personal appearance, she is sure to be close by holding a hand made sign. Whenever she phones into the show, a crow sound effect is played in the background because her voice is so...unique. Eric the Actor is a superfan of American Idol and Professional Wrestling. He is a 3'5” wheelchair-bound actor that has been an extra in shows such as "In Plain Sight", "Fringe" and "American Dreams". He has co-hosted a number of podcasts (most of which rehash recently aired American Idol episodes). Stern has a love-hate relationship with Eric and has tried repeatedly to bring Eric into the studio so that he can tie enough helium balloons to him to make him airborne. Perhaps the funniest part of Eric is that he is adamant that he is not a member of the Wack Pack. Riley Martin (also called the Space Cowboy) is my all time favorite Wack Packer. He claims to have been abducted by aliens in 1953 and has been on board the mother ship on a regular basis ever since. He reminds me of Kevin Spacey's character from the movie K-Pax in that he truly believes that he is in communication with extra terrestrials. 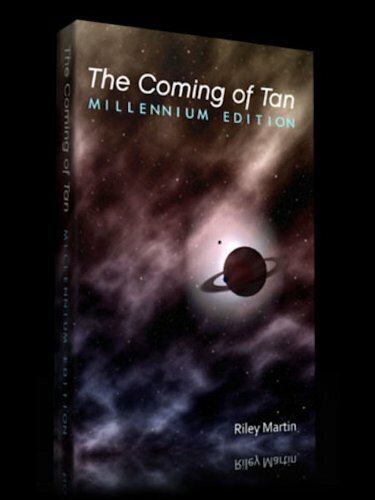 He has turned his stories about the “Biavians” into a book (called "The Coming of Tan") and hosts a regular show on Sirius. Prior to his Stern appearances, he was a guest on the Jerry Springer. He is never without an opinion - whether it be on time travel, interstellar languages or alien propulsion technology. Like Bigfoot, Martin is often in trouble with the authorities. That concludes my Top 1o List. There are many Wack Packers that I considered but left off. If you disagree with any of my choices, please drop me a note in the comment box below and let me know why you feel differently. Riley is an absolute beauty. Featuring O. Kwan Tanzin Wan. Thanks - I was trying to keep this article "PG13" and left off some of the more...um...colorful characters. Stern is still on top of his game and has evolved from 'shock jock' into the best interviewer out there.